It used to be that you could believe what you saw in pictures. These days, you never can tell if what you’re seeing, or reading, for that matter, is real or not. The internet is amazing. A wealth of information and entertainment right at your fingertips. You don’t even need a computer anymore to use it. It has definitely changed the way the world works in a lot of ways. You can write papers and reports without having to ever crack a book. You can watch your favorite show if you missed it while it was on the air, and you can reconnect with friends and family all over the world. Thanks to the worldwide web and the amazing advancements in technology, long distance calling no longer costs and arm and a leg. It’s free all day on many platforms, not just after 9. Now, I’m showing my age with that one. All of this to say, that although the technology of today is amazing for the things I’ve already brought up, it can also be used for lies and trickery. 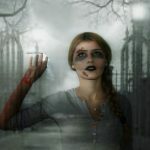 This makes it hard to know what is real or not when you see it on the web. There are programs such as photoshop that can make the impossible seem real. I mean, if you’re seeing with your own two eyes, how can you not believe it, right? Unfortunately, this makes everyone a skeptic when it comes to amazing photos. Sometimes a shot happens that is so amazing that nobody believes that mere timing, luck and light are to thank! 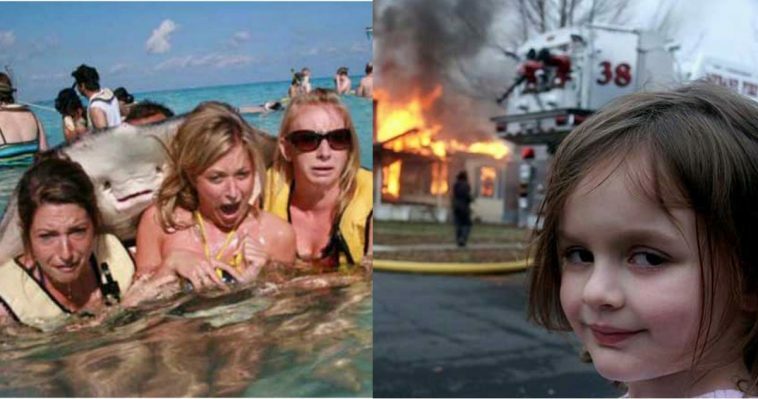 Below are 13 examples of photos that are totally real, but nobody believed it! 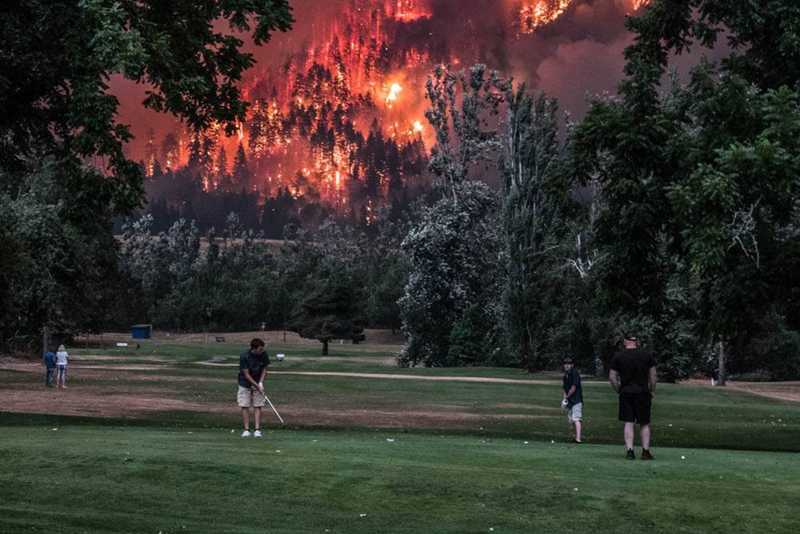 Amazing shot of a man casually playing golf as a wildfire rages in the background might seem alarming to most. The fact is that there were over 100 people hitting the links that day. Although the fire looks like it is directly behind the golf course, because of the rise and fall of the landscape, this wildfire was actually over a mile away. And from the looks of it, they were not downwind because it looks clear and not hazy. I’m not sure I could not take my eyes away from the devastation happening behind me long enough for even 9 holes, but it is what it is. I guess they figured if they can’t help it, they might as well enjoy their day and keep their tee time. We have all seen this photo. 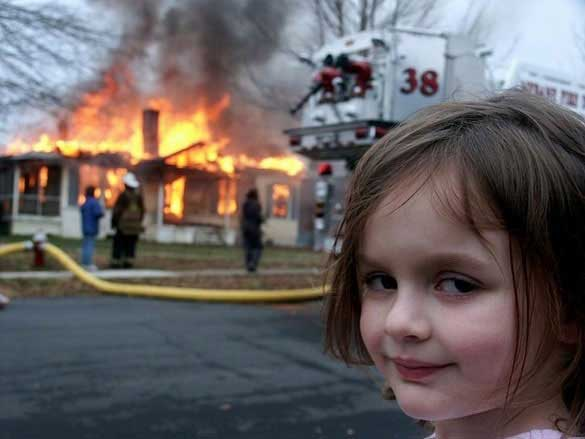 The girl who looks pretty evil while a house just across the street from her is going down in flames. It has been used probably millions of times to depict a moment when someone just doesn’t give a hoot about the mayhem that they may or may not have caused. Many believe that it’s a great photoshop job, but the truth is that it is one hundred percent real. The little girl is named Zoe Roth and this picture was snapped by her dad in 2004. She was just minding her own business, watching tv with her brother when they heard about the fire down the street from their house. They all walked over to see and that’s when this treasure of the worldwide web and meme hall of fame was born.